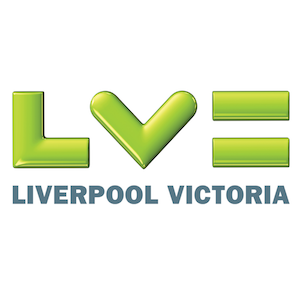 LV= travel insurance is part of the Liverpool Victoria mutual. It offers highly rated single and multi-trip travel policies with a few optional extras. You can get a quote on the LV= travel insurance website to find out how much your premium will cost. LV= features in our guide to the 10 best travel insurance companies. It creates its own policies and its travel cover is underwritten by Liverpool Victoria Insurance Company Ltd.
What types of travel insurance does LV= offer? Are there restrictions with LV= travel insurance? How much does LV= travel insurance cost? Does LV= travel insurance cover medical conditions? Does LV= travel insurance cover over 65s, 70s and 80s? Are discount codes available for LV= travel insurance? LV= offers single and annual multi-trip policies, both have two levels of cover: Essential and Premier. Premier £10,000 for cancellation after delays, £1,000 for additional transport or accommodation costs, £10,000 for cancelling your trip or excursions, adventure activities are included, cover for up to 90s days on annual multi-trip policies and £3,000 of baggage cover with a £500 single item limit if the baggage option is added. Essential No cover for cancellation, additional transport or accommodation relating to delays; £5,000 for cancelling your trip or excursions; cover for up to 31 days on annual multi-trip policies; and £2,000 of baggage cover with a £300 single item limit if the baggage option is added. Both policies include £10m of cover for medical emergencies, £2m for personal liability, up to £25,000 of cover for personal accidents and £25,000 for legal advice and expenses. All annual policies include cruise cover as standard. It's important to note that baggage cover is an optional extra that you'll have to pay more for. And you should understand that there are single and valuable item limits, so although you have £3,000 of cover with a Premier baggage add-on you can only claim for items that are worth no more than £500. £500 is one of the better single-item limits and LV= features in our guide to travel insurance with high item limits. LV='s luggage cover does include sports equipment such as golf clubs. LV='s second optional extra is winter sports cover. It includes most standard activities and will cover off-piste skiing and snowboarding within the ski area boundaries of a recognised ski resort as long as you follow ski patrol guidelines. To judge how good LV= travel insurance is it's worth comparing cover levels and quotes with other travel insurance companies you are considering. Our analysis found it offers one of top 10 travel insurance policies in the UK. Get a quote from LV= here. As with all insurance products, there are restrictions on what can be claimed for. Some only affect a small number of people but others are more general. If you're concerned about what you'll be covered for it's worth checking the policy documents on the LV= website or contacting them. Here are some general exclusions that you should be aware. As mentioned above, baggage cover is an optional extra so your possessions won't be covered unless you pay more. Claims relating to terrorism (unless for a medical emergency) are excluded. This is the case with most travel insurance companies but we have written a guide to getting cover for terrorism if you are concerned about it. Certain activities will be excluded, especially if you get LV='s Essential cover. Premier cover includes more adventurous activities such as abseiling, horse riding, hot air ballooning and Scuba diving to greater depths than the Essential limit. Make sure any sports or activities you're considering are covered. Although LV= says it will cover travellers of any age there are some restrictions, which we cover below. Its annual policy is only available to travellers who are aged 79 and under. The cost of LV='s cover will depend on a number of factors such as the destination of your trip and your age. It does offer a 10% discount for policies bought online. It's best to get a tailored quote on the LV= site. LV= says it may be able to cover some medical conditions but you will have to let them know about any issues and go through a screening process to find out. Yes, LV= says there is no upper age limit on its Essential and Premier policies so it will cover people aged over 65. However, this really applies to its single-trip policies because its annual policy is only available to travellers aged 79 and under. Also, on a single trip for over 65s, the maximum trip length is 90 days. LV= offers a 10% discount to customers buying online. At the time of writing it was possible to get up to £5 cashback by using Quidco. LV= travel insurance scores 8.9 out of 10 from over 4,100 customer reviews on Reevoo. LV='s Premier policy scores 5 Stars from independent financial review service Defaqto, and its Essential policy has 3 Stars. At the time of writing LV= was ranked top of Fairer Finance's list of travel insurance companies. It had a score of 65%, which takes into account factors customer trust and happiness, complaints performance and transparency. LV= has won a number of awards, such as YouGov's most recommended insurer. If you're making a claim for a medical emergency and you're outside the UK you'll need to call +44 1243 621 537. If you're within the UK you can call 01243 621 537. For all other travel claims, you need to call 0800 707 6967. You'll need to have a few details to hand such as the dates you travelled, the amount you're claiming for, any receipts for costs you had to cover and the details of any other insurance policies you have. LV= also offers home, car, breakdown, pet, landlord and life insurance. "Happy with the price and what my policy covers for my kitten. Easy to understand insurance and all explained in good detail. Policy set u..."
Get a quote from LV= here or check out our guide to the best travel insurance policies.